What separates the most mature programs from the rest? Where is the program positioned within the organization for maximum visibility? What level of executive support is fully engaged? How integrated is the program within the enterprise framework? How often is the program being assessed, exercised and audited? Understanding these key differentiating factors and much more can assist with your BCM program planning initiatives. 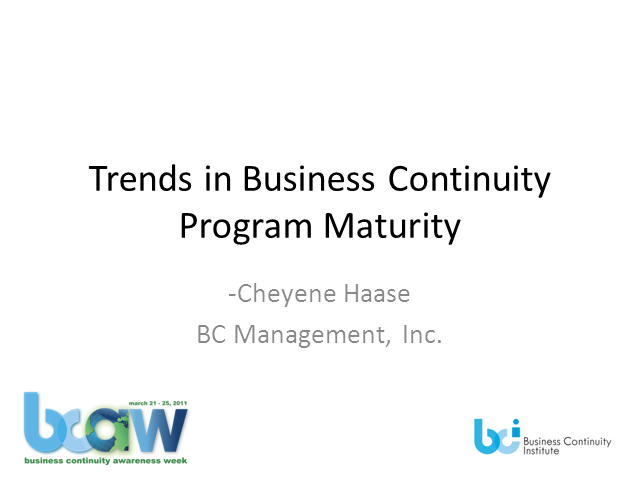 *Note – This webinar will showcase data that was gathered in BC Management’s 9th Annual BCM study.